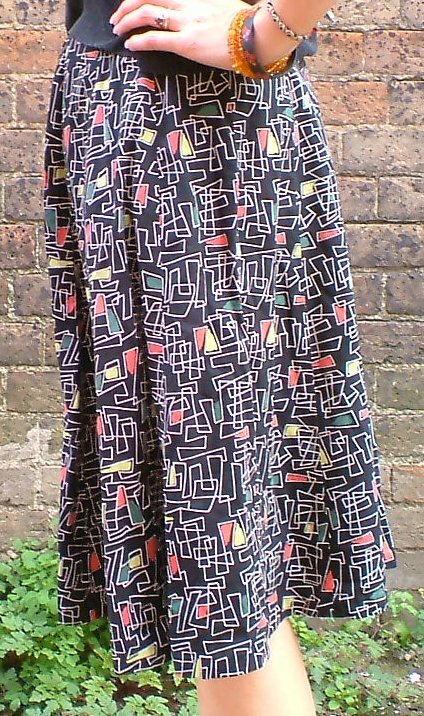 1950s vintage abstract print skirt. 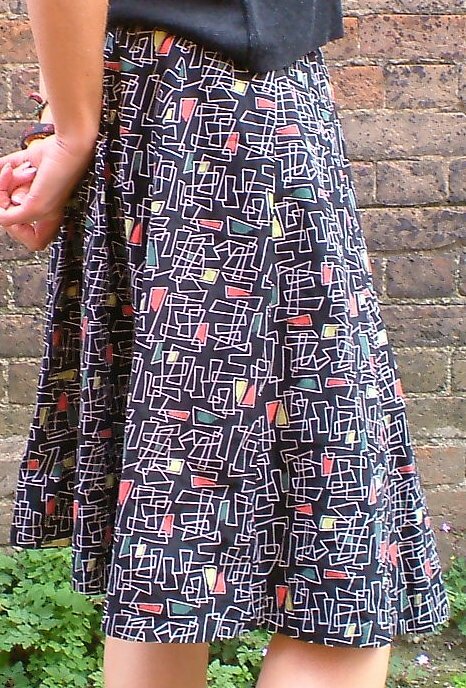 The print on this skirt is so typical of the early 50s or late 40s - a sort of homage to Mondrian, whose influence was profound and wide reaching. 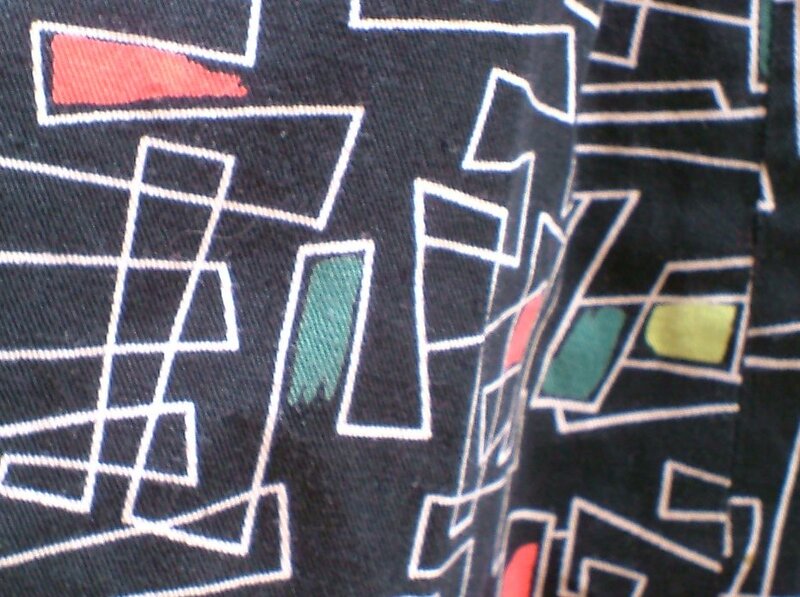 It's possibly best described as 'mad wiring' - silver, angular, continuous lines on a black ground, occasionally (and apparently randomly) finding some sort of resolution in blocks of lime green, red or dull turquoise. 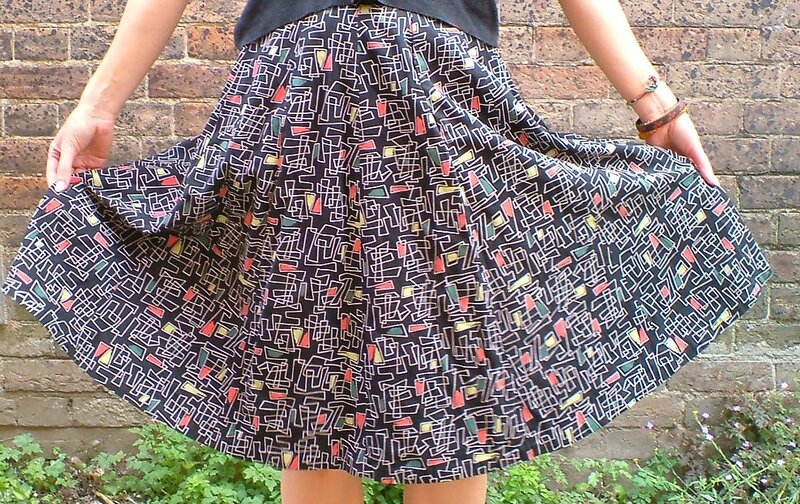 The fabric is a thick cotton and the gsrment has been carefully handmade, with a 1½ inch waistband and full skirt. 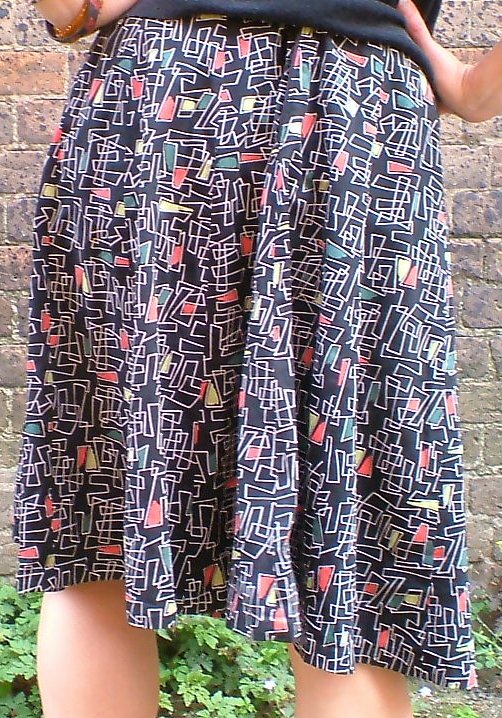 It's a small size, possibly a UK size 6-8 (see measurements below), and in truly excellent condition. 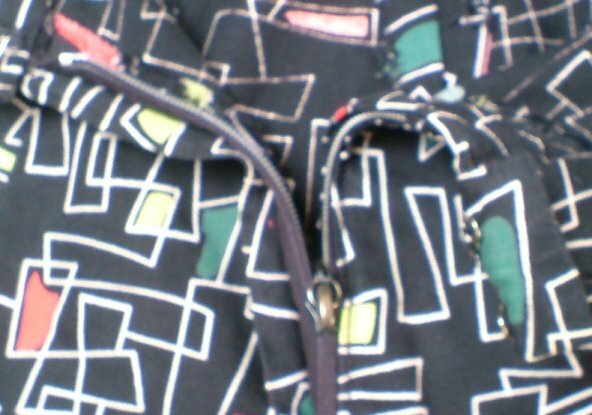 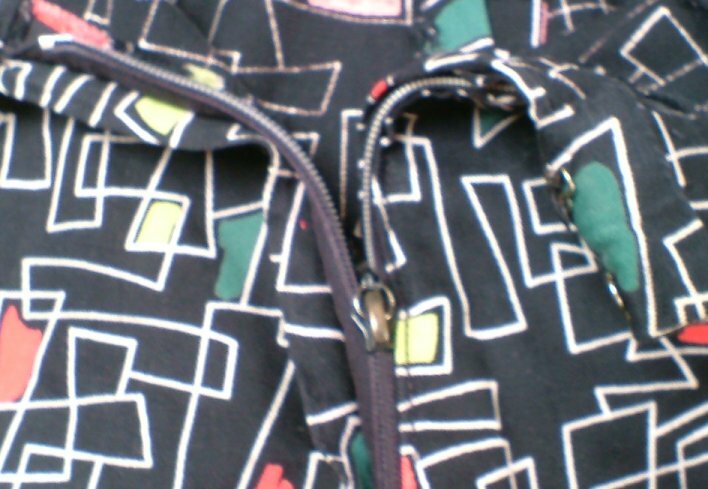 It fastens wuth a zip and double hook-and-eye. 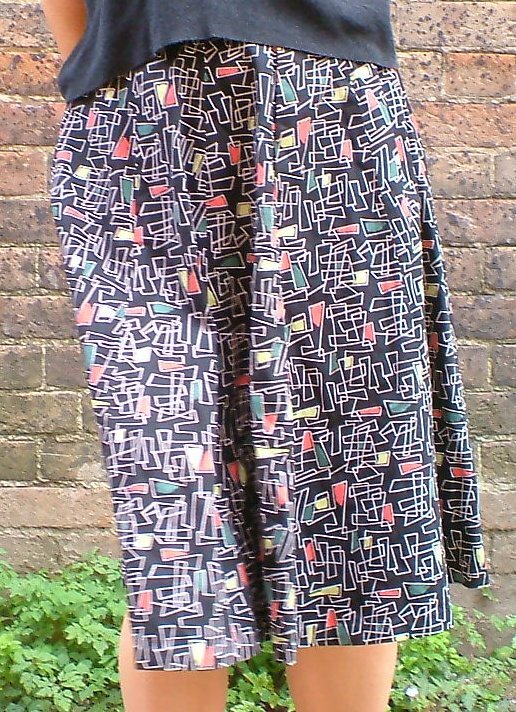 Waist measures approximately 25 ins (63.5 cms), length from waistband is 25 ins (63.5 cms), circumference of skirt, just over 100 ins (254 cms).